How about a fresh spin for Bloom Day this month? A change of location perhaps? The centre of Edinburgh was where I found myself for a number of hours on Saturday the 15th and surprise, surprise I didn’t go shopping! This unplanned trip was a tad rushed in getting here. However, as I sat with a coffee contemplating how I would spend the time (waiting for my daughter) I remembered I had a camera in my bag. Okay, let’s put this camera and me to the test! The challenge… blooms and colour. 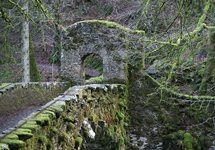 Yes, I did have a little local knowledge of the area but even so I came across quite a few surprises. 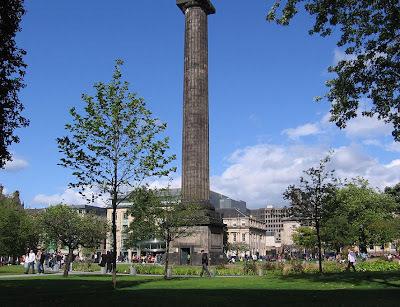 I'd like to invite you to join me on a walk around the centre of Edinburgh. Perhaps you might like to pour yourself a cuppa? 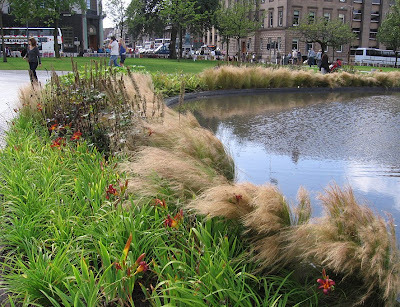 St Andrew Square Gardens was my first destination and what a wonderful public outdoor space this is. I knew about this space but didn't realise that (after a major revamp) last year it opened its gates to the general public for the first time in its 238-year history. Previously it was only accessible to residents and businesses in the surrounding area. In the warm sunshine this area had a fantastic buzz about it. People of all ages were enjoying this space. 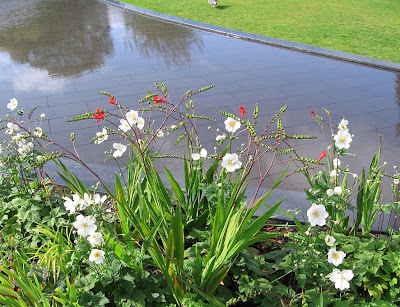 I, as you might expect if you are familiar with my blog, just loved the design and planting scheme. The white Japanese anemones bobbing about in the strong wind just drew me right in to them as did the grasses blowing quite wave-like. I am really impressed by this area now although I don't really remember much about it before.... from memory it was just a very busy area to drive around... or avoid both as a driver and pedestrian! However, on looking up links for this posting I discovered that during the First World War, the gates of this original garden were opened to visiting US soldiers who camped in the grounds. Wow… I'll take a moment to think of them the next time I pass through this garden. Coming forward to present day but back at the same time too... let’s talk trams! The main shopping street in the centre, Princess Street, has some major works going on at the moment disrupting both traffic and pedestrians. Tram lines will connect the city centre to/from the Airport and out to/from Leith. This will hopefully ease traffic and help tourists and locals get around... perhaps even commute. On leaving the St Andrew Garden I had intended heading along George Street but found myself being herded in the crowd away from that opening of the works barriers. 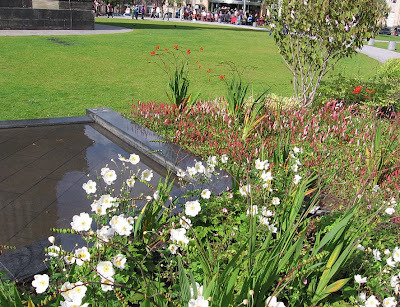 Instead of heading directly to Princes Street Gardens I thought I’d take a quick look at what floral displays could be found along a small section of Rose Street first. Yep… pretty much as I expected colour came from tiered freestanding displays, hanging baskets and extended window boxes high above main windows. Catching the sun they did brighten up this narrow busy street. Bedding displays are found it practically every city centre and Edinburgh is no exception. This one below was a bit loud and didn’t appear to tie in with any colour schemes along the street level of Princes Street Gardens. However, it did give a great splash of colour! On this very windy day you can see why planting schemes use low flowering plants. 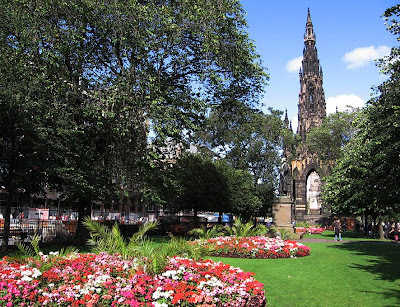 Princes Street Gardens have been a well used public space for many, many years. 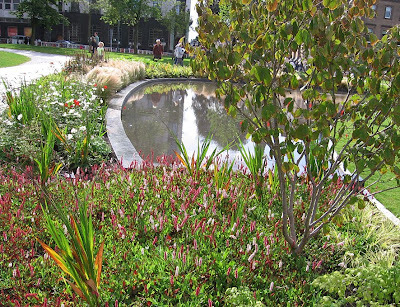 Large mature trees afford shade and benches line paths along this tiered garden. Both benches and grass banks have people sitting on them throughout the day from locals and day tripper’s to tourists. 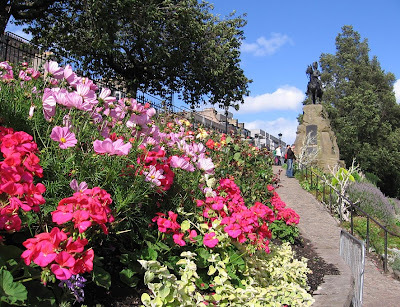 Okay, so lets’ hear it for the real blooms and colour in Auld Reekie at this time of year… the festival acts and its visitors. 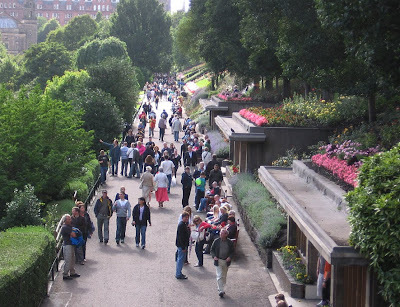 During August and into September, every year, the city sees visitors from around the world to this International event. 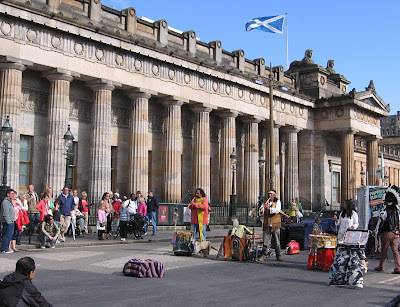 The Edinburgh Fringe runs from AUG 7-31 and The Edinburgh Festival from AUG 14-SEPT 6. Many, many different accents could be heard as I walked through the crowded streets. Tour guides were reeling off their spiel on many corners. I enjoyed being herded along with the tourists and acts for a while. I felt like a tourist myself. Despite the works disruption there was still a carnival type atmosphere. Music and acts of all types could be heard. The bagpipe/drumming bands got great applause! 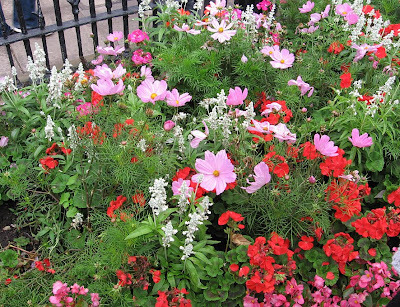 Pink cosmos were my blooms of the day… I loved seeing their cheery faces bobbing about in the wind. Bedding really isn’t my thing but I like this planting combo along some railings. The surprise of the day for me was the Floral Clock! I had no idea it was still there. As I child I had a few relatives in Edinburgh and had been taken to see this clock. I remember it well, even now. Over the years I have had many lunches with my daughters sitting in the gardens… but not at the Castle side (West) of the National Gallery. What a revelation this was… my daughter’s are probably now too old to appreciate this as I did. This clock has a working movement and does keep time. As I walked down the steps alongside the Floral Clock and looked ahead to the path beyond I felt like I had been truly transported back in time to my visits as a child. 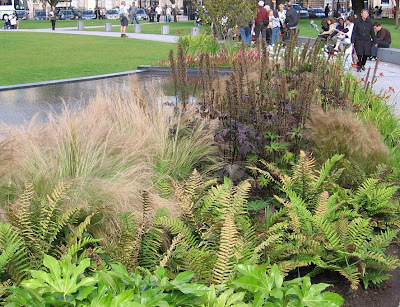 Unfortunately, sorry Edinburgh, the planting schemes felt that way too. 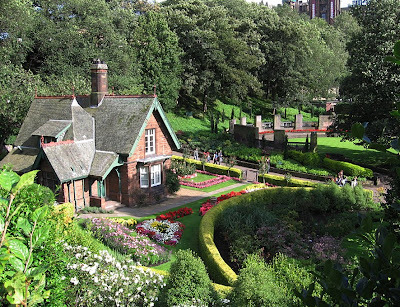 I wonder if, when the Tram works are completed, the gardens may get a make-over too. At the bottom of the steps a look down to the left and a cottage caught my eye. Wow… my first thoughts were that of a Gingerbread House in a storybook. How magical it looked! Walking ahead gave closer views to the Castle on the left on the rocks above. Many cameras were pointing in that direction although Edinburgh Castle doesn’t really look like a picture book Castle. The benches were all occupied as I walked. A break in roses, bedding and lavender in one area caught my eye… the tall teasel was also getting caught by the wind! Once again the cosmos made me smile. A number of Statues can be seen along the gardens… I had no idea there were so many. You can see them listed in this interactive map. Up and down the gardens I went and once again it was time for a break. Care to join me in another cuppa? Direct plugs to businesses I don’t usually give but I’d like to give one here. 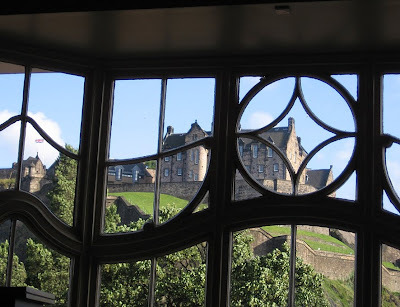 Oh yes… I did pay for my coffee at the spacious Princes Street Starbucks Café with a view out to the castle! This plug like the bag of used coffee grounds is for free! Any company that operates a recycling system direct to its consumers like this has my vote. Displayed in a basket these ‘GROUNDS FOR YOUR GARDEN’ packs are available for customers to take home. I guess if you had a PH testing kit for your soil you could use that too. Yes, I did pick up a bag myself on this visit and on a previous one. As yet, I haven’t decided how I will use it but do look forward to giving this a go! I wonder if any other coffee shops/chains do this. Okay, shamelessly I’m going to go from one business plug to another! Dobbies also has my vote on the recycling front but I’ll come back to that one soon. 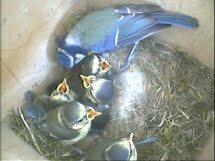 For the moment I would like to say I’m delighted to welcome them to the garden blogging world! 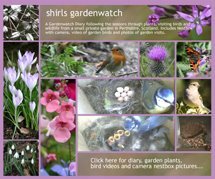 Oh yes… as you can see above they have shirls gardenwatch as their ‘Blog of the Week’ at the moment which I am quite delighted about… thanks Ian for your most generous comments! 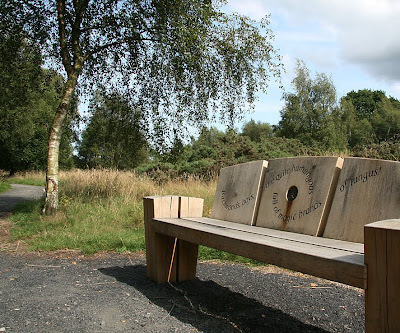 So, as I near the end of this Bloom Day trail around Edinburgh I have been wondering how the Loch Leven Heritage Trail has got on in the National Lottery Awards Final for Best Environment Project. If you are wondering what’s blooming in my garden at the moment then there’s nothing really new from previous postings except I've added some pink cosmos that I picked up at a bargain price… before I saw them in Edinburgh! The next sunny, dry, still day I’ll take some video. 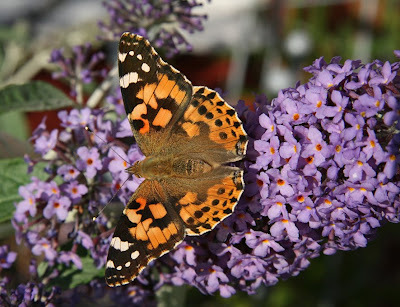 In the evening sunshine tonight I was thrilled to see butterflies on my front garden buddleja… two painted ladies, a small tortoiseshell and a peacock. That’s the most I’ve seen so far this year. Only the painted lady was close enough to get with the camera. It’s definitely time for you to flutter on by if you made it to the end of this posting! Mm... looking back perhaps my Canon PowerShot isn't too bad on sunny days! 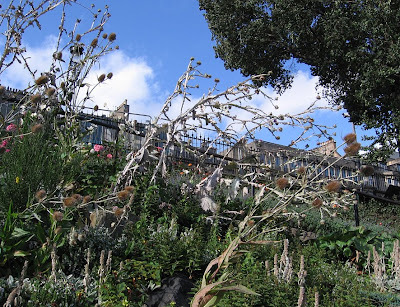 All photos above were taken in Edinburgh on August 15th 2009 with my Canon PowerShot with the exception of the butterfly taken in my garden on August 17th with my Canon 400D. What a tour Shirl. You could be a tour guide. 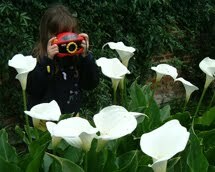 I loved seeing the garden that I have read about long ago. Seeing the Castle and other monuments is great too. I love that clock. It is so pretty I am sure your daughters would appreciate it. Cheers. A great tour of Edinburgh Shirl, most enjoyable! Your Canon PowerShot 'did you proud'. 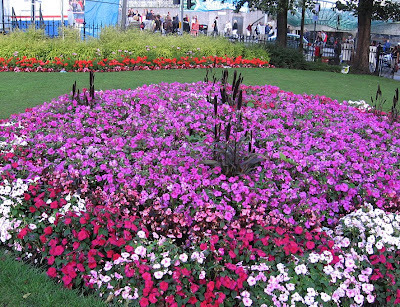 All the floral displays were beautiful although I have to admit I am not so fond of formal planting. I too love Cosmos and this year with the strange Summer we have had some of mine are nearly as tall as I am! I heard the other day on Gardeners Question Time on Radio 4 that coffee grounds can be used to deter slugs so that might be worth a try. 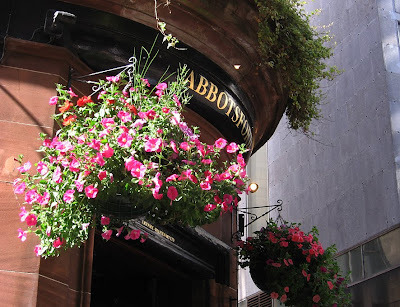 Many congratulations on your Dobbies Blog of the Week, very well deserved! What a beautiful town! I love the floral clock. It made the town look like a fairy land. 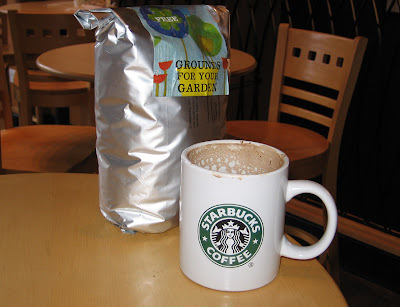 Oh the used ground coffee, now I know how valuable are these 'waste' :-) TQ for posting good information. Have a wonderful day Shirl! Starbucks is evil! Ha, although yes their food/drinks are vehr nice! It’s just the fact they’re taking over the world, for example in the centre of Sheffield we have three all within 500m of each other – why?!!! Arghhhhhhhh. Hi there Liz, Thank-you! I’m guessing this posting made you smile then? Definitely post your photos… I would add a link here too. I could also supply you with Princess Street under construction/chaos if you wanted ;-) I’d love to see how you captured the city in your brief visit. Thanks, yes on the whole the PowerShot did an okay job. It was fine in the really bright and close-up shots at least. Perhaps I should learn more of its setting now that we have finally made friends after about three years! LOL… yes, I didn’t know there were so many in Edinburgh either until I looked for my link. Up my way Costa rules the coffee cups ;-) Mm… nope sounds too sweet for me… I’ll have a large Mocha!! Hi again Lisa, so glad you could join me. That’s brilliant that you’ve heard of this garden and I could show you how it is now. Yes, although not too castle-looking it does command a presence looking over this area. I had no idea there were so many monuments and I did miss quite a special one at the end that I had forgotten about completely – gold gilded too! It really was the weirdest experience discovering that clock again… and this lost in time part of the garden. In all honesty I had it in my head that this clock was removed many years ago… I thought I remembered reading about it. Yes now, when I was researching for links etc I came across all the different uses for the coffee grounds in the garden and did read something about slugs. I also read about them helping the compost heap too. 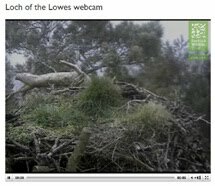 I had already written way too much for this post… I’ll come back to this though as it is an interesting one! You’re welcome for the heads up on the coffee grounds… I plan to look into this further. 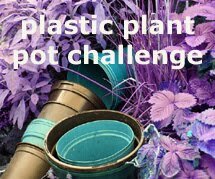 It appears there are quite a few uses for them in the garden from slugs to compost! Thanks for the tour, I've only been to Edinburgh once and it was snowing then! So I do have photos from that visit and from last summer on my surprise visit… The photos were taken with my old holga 120 film camera though, so they’re not your typical digi photos. I would love to see the construction chaos ;)… As if Princes Street wasn’t bad enough already (best to stick to George St me thinks), they have to go and do that! Actually, that is something that stopped me going earlier in the year! I hadn’t realised there were still problems, have they even been resolved yet and work has started again? I forgot to mention, something that can’t ever be shown via blog is the smell of Edinburgh! So although it is quite strong, it really takes me back and it’ll always be associated with such a wonderful city. Nothing can ever truly prepare you for the sight of the castle or Arthurs seat, no matter how many photos you see beforehand. It’s not until you’re going down princes st or sat on Carlton Hill that you realise just how breath-taking these sights are. Forget the houses of Parliament, Big Ben or Buckingham Palace, they’re not a patch on Edinburgh. 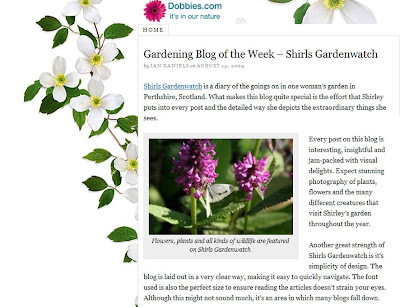 Congratulations on being chosen as 'Blog of the Week' on Dobbies - richly deserved Shirl. Thoroughly enjoyed reading your illustrated tour. 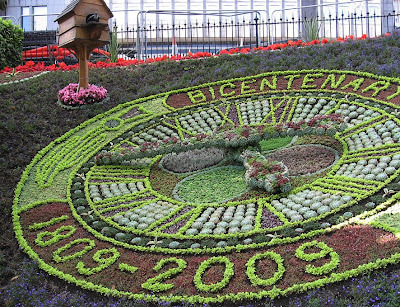 Seeing the floral clock reminded me that Cleethorpes used to have one - maybe still does as I haven't been on the seafront there in Summer for several years. Yes, they appear to be working again. Don’t know the planned end date I’m afraid. I guess it will be done in stages. Here’s a link to a folder on my photobucket with Polaroid and Holga photos: http://smg.photobucket.com/albums/v181/Dipodil/HolgaPola/ I think it’s public so you should be able to see it… If not then let me know! There are some photos of Edinburgh in there but not many, I need to add more… The ones that look ghostly are double exposures where you take two or more photos without winding the film on. Oh my! Shirl you have to get up on to Carlton Hill! I insist! 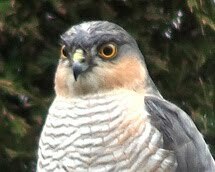 I have some photos (none uploaded onto pb though, so I’ll have to rectify that!) but it is amazing – not to mention the birds on the path up too :D I also had a very close encounter with a Squirrel on there… It threw a nut at me lol, I think we were both as surprised as each other and I thought someone was throwing stones at me until we realised what it was… Then shortly after we were attacked by a duck… It’s dangerous up there lol. Thanks for the tour of Edinburgh, Shirl - I am ashamed to say I have never been there. I love the idea of the working floral clock! Which Canon powershot do you have (did I miss that somewhere?)? My camera is a Canon powershot S70 - they're not made now but were getting rave reviews when I bought it, and I thought the powershot series generally were supposed to be very good. That was beautiful, thanks Shirl, and brought back many happy memories. Thanks a lot for this interesting guided tour around Edinburgh. We only stayed there for two nights, but your post brought back some very nice memories, though the weather was rather cold and rainy. But this didn't prevent us from walking, walking and walking around...and sitting on a wet bench in the park :-) ! !